A project documenting the local impact of Enoch Powell’s ‘Rivers of Blood’ speech is to be launched by the University of Wolverhampton thanks to a £9,400 National Lottery grant awarded by the Heritage Lottery Fund (HLF). April 2018 marks the 50th anniversary of the controversial ‘Rivers of Blood’ speech. Claiming to speak for his constituents, Powell’s speech pushed the Black Country town of Wolverhampton into the national spotlight. Now a major new National Lottery funded project is set to address the impact of the speech in Wolverhampton and particularly how ethnic minority communities within the area responded. 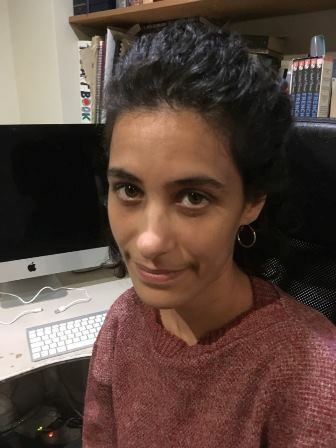 Led by Research Fellow Dr Shirin Hirsch, alongside two leading artists Anand Chhabra and Jagdish Patel, the project will create an exhibition at Wolverhampton City Archives drawing out photographs and media material connected with the Rivers of Blood speech. This will be digitalised for a new website. In close collaboration with Wolverhampton Art Gallery, Anand Chhabra and Jagdish Patel will respond to the speech visually with an exhibition. In addition, photographs of ethnic minority experiences in Wolverhampton in 1968 by renowned photographer Vanley Burke will be featured in this display. On Saturday 21 April 2018 a half-day conference will also be organised, to be hosted by the Heritage Centre, once the Conservative club, in Whitmore Reans in Wolverhampton. The conference will allow local residents to reflect on the legacy of the speech and the ways in which people in Wolverhampton have organised anti-racism movements in the past. Dr Shirin Hirsch, who is publishing a book on Enoch Powell and Wolverhampton, said: “We are grateful to National Lottery players for this funding which will enable us to document the hidden stories of immigrant communities who lived through Enoch Powell’s Rivers of Blood speech of 1968. “Powell’s speech is remembered by a whole range of different voices, but particularly for Black and Asian immigrant communities who had been targeted in the speech, the impact was felt strongly. We are interested in remembering the ignored, local stories within Wolverhampton and discussing new forms of racism but also anti-racist politics which intensified following the speech. 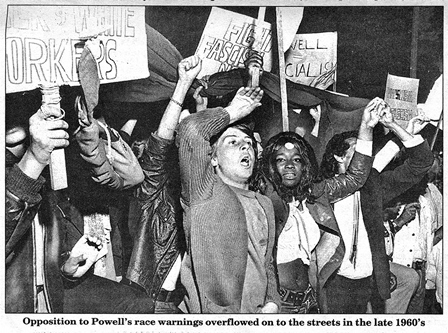 Picture captions: Protestors in Wolverhampton opposing Enoch Powell in 1968. Many thanks to the Express and Star for allowing us to use this photograph. For more information please contact Dr Shirin Hirsch at shirin.hirsch@wlv.ac.uk or the Media Relations Office on 01902 32 2736 or 01902 518647.